Map showing location of Glacier Hot Pools . Use the controls on the map to zoom in and out. 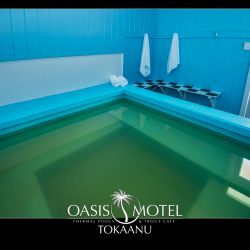 We booked a private pool online via bookme.nz the day before and received confirmation of our booking within the hour. Unfortunately, the following afternoon we turned up 30minutes before our allotted time of 2.30pm and were told that the private pools were fully booked! The woman at reception responded as if this was our fault for not double checking if our booking still stood, despite us producing the confirmation letter and the fact the money had been taken from us. Apparently nobody had checked 'the system' since the day before and so our booking did not go through, it would have been nice to have received warning of this via phonecall or email before making our way to the hot pools. We were very disappointed when we arrived to be turned away in this manner, as we had planned our day around this activity. Just beautiful!! We spent a weekend down at Franz Glacier with our family for a birthday treat.So relaxing to be able to sit with family,talk and laugh together in the pools.We are all waiting for the next birthday so we can do it again! !